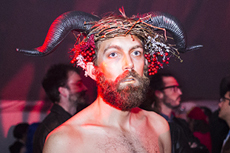 All hail Satan (and Amanda Lepore) at the Halloween bash! 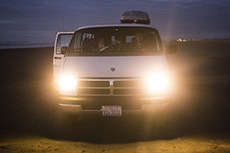 Seeing the Pacific is every East-coaster’s right-of-passage. 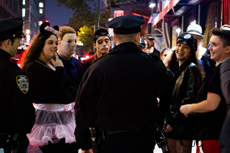 In case you hadn’t noticed, this year’s Halloween was a success. From metal muzzlers accentuated by daises and Trojan-style rainbow mohawks to pastel sheers and lace, Borochov’s line is playfully gorgeous and decadent to the max.